HaloCraft 2.0 is a mod first created for Minecraft 1.8, and runs off of Forge. It enables users to experience many things from the video game Halo for XBOX, owned by Microsoft. 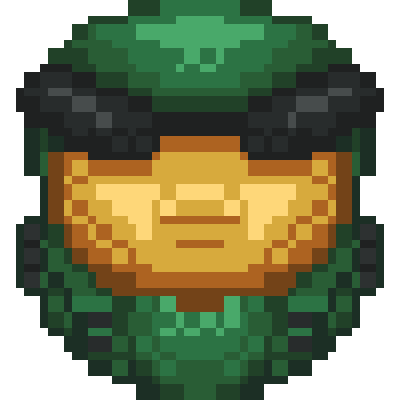 It allows players to fight the enemies of Halo, using Halo's weapons, tools/resources, and even vehicles including a Scorpion, Phantom, and a Mongoose (in v1.3)! HaloCraft 2.0 also has an official Technic Modpack. Be sure to check out HaloCraft 2.0's website here, and NEGAFINITY, the developer website here. If you'd like to support me, you can do so using the PayPal donation buttons on either site. Enjoy the mod! I think this mod is ded. Can you port this to 1.12.2? Having problems with mode. Sounds not working, Icons for guns and Vehicles are not showing correctly. Using Minecraft 1.10.2 version. Want to add that the jetpack is causing fall damage on landing at every speed and hight. Also, is the armor and jetpack supose to combine, or donyoubwere the jetpack soly. When wearing the jetpack, it looks like i am not wearing armor and looks like a missmatch armor when wearing the legs, helmet, boots, and jetpack. Where recipe for weapons? My version of mc not have recipe. What machine create weapons? Forge 1614, Halocraft v0.7.6 , KCs Weapon Mod v0.1.5. Please help!!! It's not work? Update to 1.10.2 with around 25 more guns is coming soon. You cannot use Minecraft 1.8.9 mods with Minecraft 1.8.8 mods or Minecraft 1.4.7 mods. Yes you can mix 1.8.8 and 1.8.9 mods, and the crash report doesn't show a mod for 1.4.7, it shows a mod whose version is 1.4.7 which loaded successfully. There is no way to shot at the North West direction (90° angle, the 270° left are good) is it normal ? The tank is flying when you shot on your feets, why ? weapons like scattergun are shotguns, why there is only one pellet shot by it ? There is a way to shot with the warthog turret ? Will you implent ground fixed turrets ? your mobs have got a weird moving (teleporting each seconds) and their shot are from their feets insteed of head, can you fix it too ? can you make the sniper bullet more powerfull and more fast ? I didn't tryied yet, but is the incinarator cannon put tiles on fire ? Can you add a way to recruit the wild marines ? allowing them to follow you, and fight for you, and stay, like wolves. Please ?? can you add a config file ?